I want to apologize for being off the radar for the last few weeks. To say that things have been busy for our family lately would definitely be an understatement! 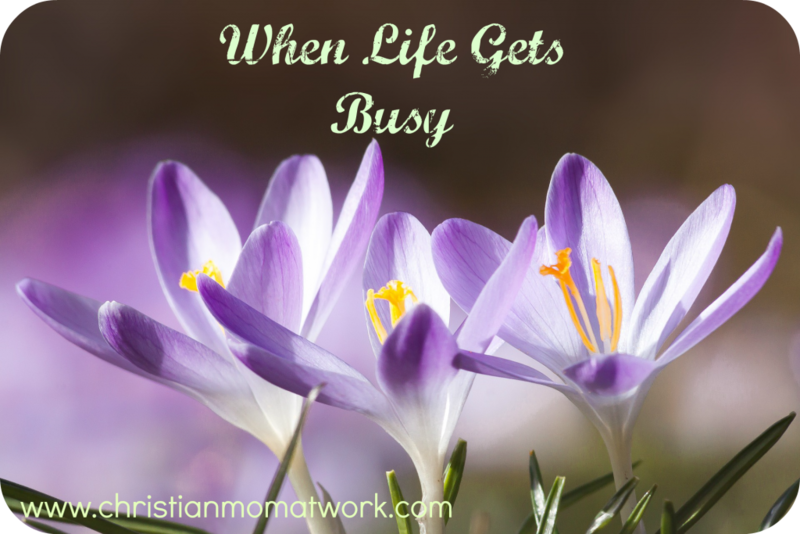 When life gets busy, sometimes you have to make choices about what gets your attention, and what needs to sit on the back burner for awhile. That’s the place our family is in right now. As you may know, we are homeschooling our 15 and 17-year old children. I also work part time, and my husband works 12-hour shifts, and has had quite a bit of mandatory overtime these last few weeks. On top of that, we are in the process of buying a house (we’re currently renting). Oh, and I’m in school (online) full time with just a few months to go before I earn my bachelor’s degree! Even though I am getting closer to getting done with school, my classes have become more intense. I started to realize that I was going to need to make decisions about what was needing my attention the most. One by one, I found myself putting some of my favorite activities on the back burner: Reading books for pleasure; creating beaded jewelry; and saddest of all, blogging. I have been focused on caring for my family, serving the Lord and completing my lessons. I realized that I could not do EVERYTHING well, and that I had to get back to the basics. Not that I’m doing the basics well, but at least maybe a little better now that I’ve cut back on some of the extra-curricular activities! It might still be awhile before I can get back to my blogging regularly, you can catch up with me on Facebook and Twitter, and don’t forget about Pinterest! 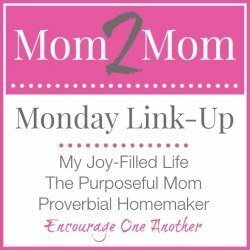 I am able to share some great verses and some meaningful posts from other bloggers from time to time. Please stop by! One thing blog-wise that I am working on is a book review about a wonderful devotional book that I am very excited about. I chose this devotional book for my personal time with God during the month of February, and I just love it! It’s called “Putting On the Spirit” by Katie Hornor! Be on the lookout for the review in the next few days. Could you please keep my family in your prayers? The house-buying process hasn’t moved as quickly as we would like. The house that we are renting happens to be on the market, and we are praying for God’s perfect timing in it all, but we are losing patience! Will you pray that all works out according to God’s will, and that we would learn and embrace patience in the process? Thank you, again!